I'm using Paper-Garden.ca gold cardstock - love it. Your card has a great WOW factor. The embossing, the layering, the texture... all add up to a beautiful creation. Thanks for sharing it with QKR Stampede. DT Kathy PS I hate cards that don't stand up either. Adding a brace is an excellent idea! Gorgeous Make Love The Shape Of This Card .. Beautiful Colors .. Good Luck And Thanxx For Joining us this Week At Jo's Scrapshack . 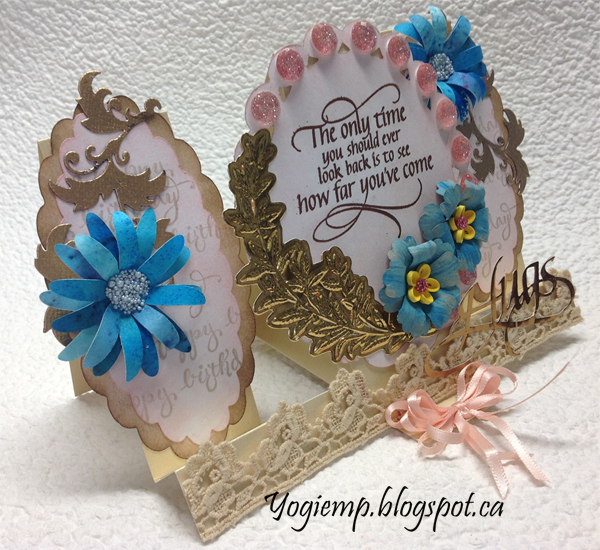 Those Tattered Lace dies are gorgeous! Clever you for adding a brace. A card like this needs to be displayed. I like the idea! Beautiful yellow on your beautiful card. Thanks for joining our challenge at Craftaholics R Us. Hope you'll come join us again. Pretty card. What a great idea to add the brace - I might have to "borrow" that idea next time I make a card that is likely to splay (annoys me too!). 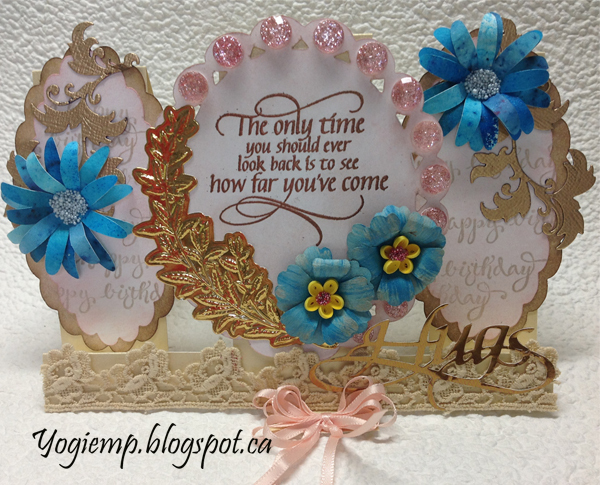 Thank you for joining in the Ribbon and/or lace challenge at Incy Wincy Designs. Nice card... thanks for submitted it to the Scrapy Land Challenge... good luck! Beautiful card - so well executed! Super card for a gamer! Thanks for joining our Bugaboo challenge - good luck in the draw! Please join us again soon.